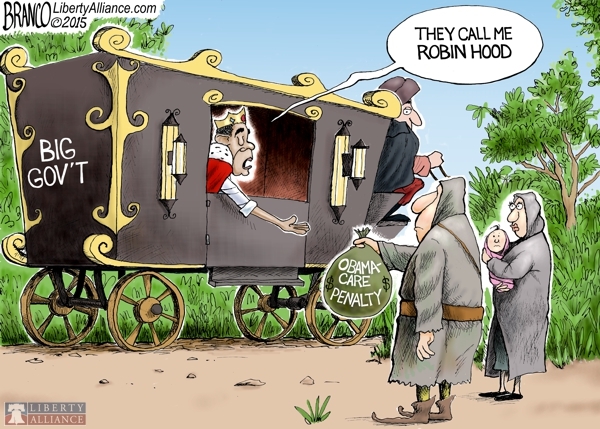 Obamacare penalty is nothing more than highway robbery. Taking (stealing) money for no goods or services rendered. Cartoon by A.F.Branco ©2016.